Benvenuti a Sunset Palms II, la nostra seconda villa sulla bella sviluppo gated Sunset Lakes. A soli 4 miglia dal più vicino parco Disney e ancora più vicino a tutti i ristoranti, bar, attività e negozi della Hwy 192 West, ci sono perfettamente posizionato, non importa quello che stai cercando di fare. Con tutta la struttura aggiornata nel 2017, si trova un letto king size, due regine e due letti per voi e la vostra famiglia. La nostra piscina privata si affaccia su un laghetto naturale e santuario di conservazione che non ha eguali da nessuna parte questo vicino a tutti il ​​luogo perfetto fun..the per rilassarsi dopo una giornata intensa. La villa è dotata saranno tutti i comfort che ci si aspetta di un noleggio di fascia alta. Abbiamo fatto questo per dieci anni più ormai e sappiamo come mantenere i nostri ospiti felice. Noi viaggiamo regolarmente in Florida noi stessi, o di avere amici e la famiglia unirsi a noi spesso - come tale, forniamo la proprietà ad un livello ci sarebbe agio, non solo il più economico perché capita anche di essere un business. La nostra struttura originale è Sunset Palms ed è a soli 4 porte lungo la strada. Quindi, se siete alla ricerca di viaggiare come un gruppo più grande, questo è un ottimo modo per essere vicini l'uno all'altro, ma mantenendo po 'di quella privacy che tutti abbiamo bisogno, a volte. Inoltre, controlla i nostri giudizi su quella proprietà, dato questo uno è ancora nuovo per noi. Speriamo di guadagnare la vostra fiducia - sappiamo che avete un sacco di scelte e si capisce l'importanza di una meravigliosa esperienza di vacanza. The house was immaculate, pool was great, would highly recommend to anyone travelling to Orlando! 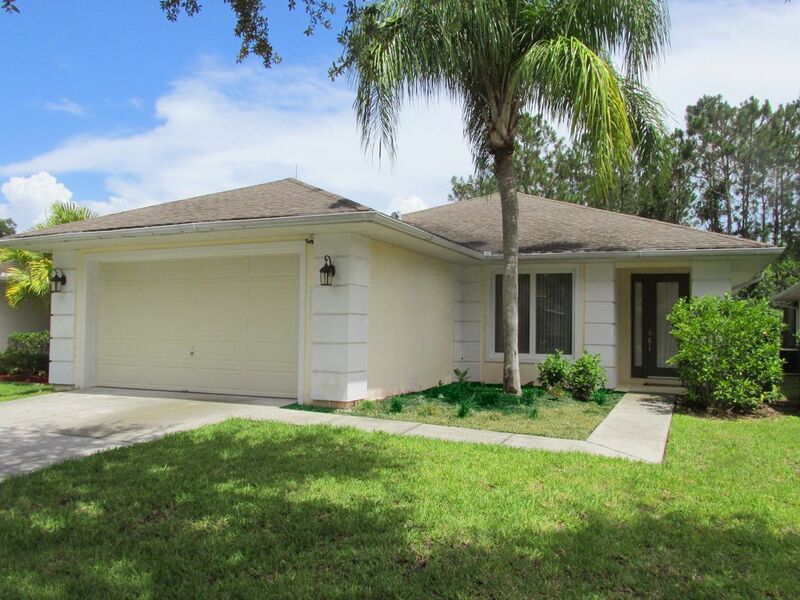 The house is ideally located close to Disney, restaurants, and shops. The pool was great especially after a day at Disney. I would recommend this house to anyone travelling to Orlando! Thank you so much for the kind words. We know there are so many choices out there and we pride ourselves on the quality of our properties. We have many friends and repeat guests stay with us and we decorate them accordingly. Returned from a lovely holiday on 5th November and had an amazing 18 days at Andrew's villa. The villa was spotlessly clean, with a huge pool and amazing view. Only 15 minutes from Magic Kindom, and within easy reach of restaurants, shops etc. Would love to return next year ! Thank you so much Susan. We look forward to having you back in 2019! In 20+ years of villa holidays, this is the 1st time we have ever gone back to the same villa....hopefully that alone tells you something! Ok now on to the villa, we enjoyed our holiday so much last year that when we decided to go back this year we checked availability, it was great last year and if anything its had small changes this year that make it even better. From 1st contact Andrew is easy to deal with and always gets back to you promptly. The villa is very clean on arrival with a good standard of accommodation. Sleeps 8 with good size bedrooms and games room in garage is an added bonus and new this year. Love the pool area, the trees can give a natural shade but you can also easily have 12 hours of sun if you want(if I was to make any advice on outside it would be another 1 or 2 sun loungers would be good....but that's me been very picky!) Enjoyed watching EPL games on the big TV. Hope to be back in the future. This is a great villa. Many thanks for the kind words Les. We know there are plenty of choices out there, so we work hard to win your business and then ensure we deliver on our promises. Hopefully see you back in the future! We had a wonderful stay at this villa. It’s extremely spacious and modern and had everything we needed. Great location for all the parks. Would definitely recommend. Beautiful and clean home. We were 10 to 15 minutes from all the theme parks. There were lots of restaurant choices nearby as well. The two small issues we had were addressed by Andrew immediately which was great. The issues were nothing major. For example the highchair was missing from the house so Andrew had his dad drop one off that day for us. Everything else was perfect and we will definitely look at renting this house again for our next Florida vacation! Optional Pool Heating for $20 a day. Recommended during October to April stays.